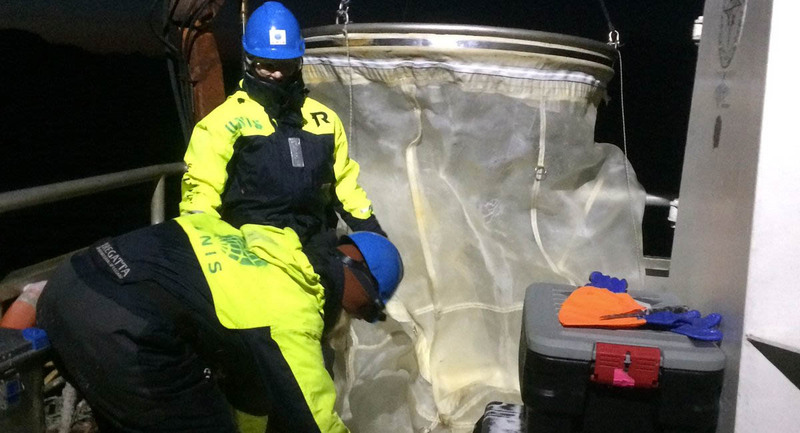 A team of researchers taking marine samples in Isfjorden say it appears there is likely to be no ice in the fjord this year, an increasingly common occurrence in recent years due to climate change, despite some frigid air temperatures since December. The quartet of scientists from The University Centre in Svalbard are part of a project that has collected a variety of samples since 1996, with more varieties added in the years since, but there has been has been no significant sea ice in Adventfjorden or the deeper part of the Isfjorden since 2004. The last measurable ice was in 2015 when the surface water temperature in January reached a low of minus 1.5 degrees Celsius, compared to 0.5 degrees in 2016 and 1.5 degrees this year. The temperature in the fjord about a month ago was 1.8 degrees, showing the recent cold spell had an impact, but the months leading up to last December were marked by warm temperatures and heavy rain that added to the increasing temperatures already caused by warmer Atlantic currents flowing in. 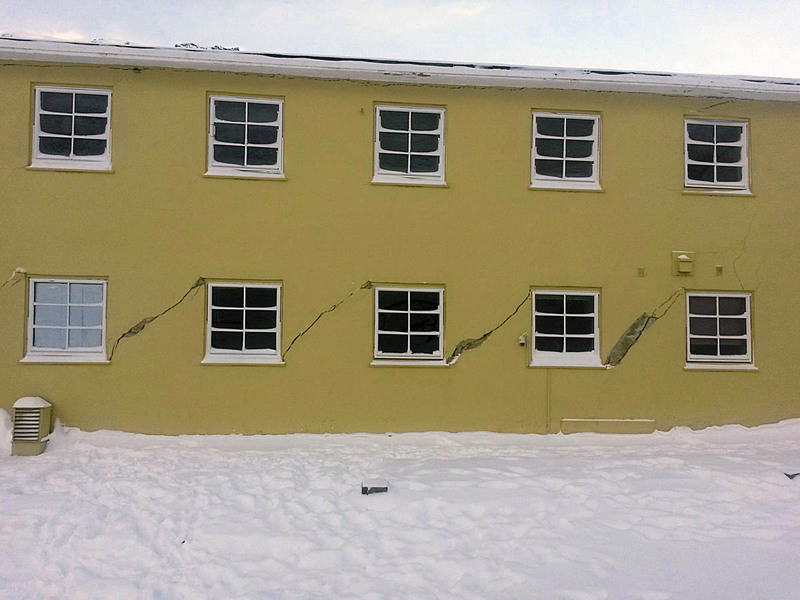 Gamle Sykehuset, a former hospital converted into an apartment building, was declared uninhabitable in February of 2016 due to severe cracking and other damage. Photo by Mark Sabbatini / Icepeople. Two brothers who say they were financially ruined when their apartments at Gamle Sykehuset were declared uninhabitable three years ago have lost a lawsuit again the seller accusing him of negligence in failing to disclose the building’s condition, with the judge rejecting the allegation and declaring the time limit for pursuing a complaint had expired. Sam and Avaz Ziai were ordered to pay nearly 400,000 kroner in court costs to Roy Albrigtsen after the lawsuit, which sought three million kroner in compensation for four condemned apartments, following the three-day trial in Nord-Troms District Court. The ruling noted the brother purchased the apartments in 2009 and there is a five-year limit for complaints unless negligence or other bad faith exists. 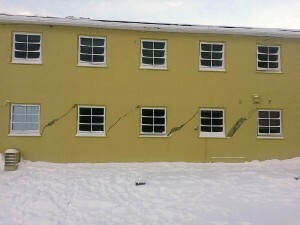 About 30 residents in 16 apartments were forced to abandon the property in February of 2016 due to severe cracking and other damage in the foundation and throughout the building caused by softening permafrost. Two new ambassadors for Barentsburg – one representing the settlement for Russia, the other serving as a translator/representative for The Governor of Svalbard – have been recently appointed. New Consul General Sergei Sergeievitsj Gushchin worked at the Russian Embassy in Oslo from 2010 to 2015, and speaks Norwegian, Icelandic, English and Spanish. He most recently served as office manager for Norway, Denmark and Iceland at the Russian Foreign Ministry. Jorunn Skjulestad, 32, began her job for the governor earlier this month following her assignment in the Norwegian Armed Forces. She has a master’s degree in Russian studies and lived 18 months in Russia.